Lake Placid, NY – Ski jumping and a variety of brews will make for another busy autumn this weekend in Lake Placid. 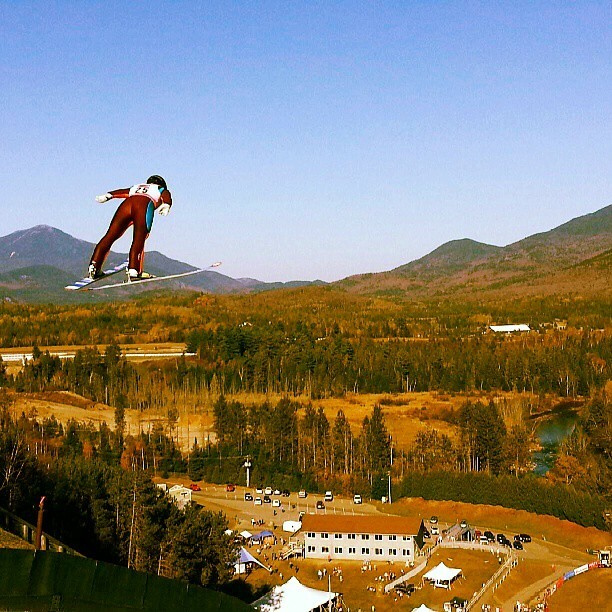 Some of the nation’s top ski jumpers will soar off the Olympic Jumping Complex’s 90-meter ski jump during the annual Flaming Leaves Festival, Saturday and Sunday, while more than 60 micro-breweries will celebrate the craft of brewing beer during Saturday’s fourth annual Lake Placid Brewfest. The fun begins at noon on Saturday with the New York Ski Educational Foundation (NYSEF) ski jumping event. The first of two rounds of jumping begins at 1 p.m. While these athletes soar the length of a football field, fans can enjoy ribs, barbeque and more prepared by Centerplate to the sounds of live blues music. Chaz DePaolo kicks things off when he takes to the stage from noon to 1 p.m., and returns to play from 2-3 p.m. Saturday’s blues lineup also includes Waydown Wailers, from 1-2 p.m. and 3-4 p.m.
Other family fun activities Saturday include lawns games, craft vendors and tie dying. From there, the fun moves over to the Olympic Center’s 1932 Rink for the fourth annual Lake Placid Brewfest, from 3-7 p.m. Open to everyone 21 years and older, the Brewfest will highlight more than 100 different kinds of beer from around the country. This year’s festival will feature over 60 breweries to include Ausable Brewing Company, Beak & Skiff Hard Cider, Blue Line Brewery, Brewery Ommegang, Great Adirondack Brewing Company, Lake Placid Pub & Brewery, Long Trail Brewing Company, Paradox Brewery, Plattsburgh Brewing Company, Redhook, St. Lawrence Brewing Company and the Shed. Music will be provided by Baked Potatoes, while each of the breweries will be on hand to offer samples and talk brewing. Then on Sunday, watch as a star studded line up of our nation’s best compete for the title of U.S. national champion in the sport of ski jumping. 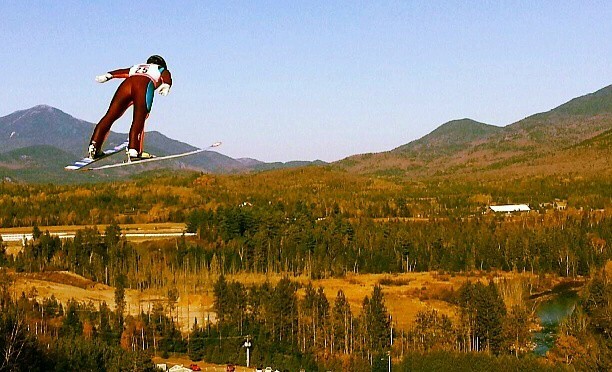 The first of Sunday’s two rounds of ski jumping is slated to begin at 11 a.m. While these athletes compete, the music lineup will feature Soul Sky, from 12-1 p.m. and 2-3 p.m., and the Boondoggle, 1-2 p.m. and 3-4 p.m. Admission to the Flaming Leaves Festival costs $16 for adults and $10 for juniors and seniors. Two-day passes are also available, $27 for adults and $16 for juniors and seniors. Save $2 when purchasing your tickets online at www.whitefacelakeplacid.com, or buy the Olympic Sites Passport and have admission included. Tickets for the Lake Placid Brewfest can be purchased by visiting www.whiteface.com/events/lake-placid-brewfest. Advance tickets are $45 and include a four-hour tasting and live music. VIP tickets are also available for $75 and include a private extra hour of tasting exclusive brews, hors d’oeuvres, a brewfest gift and more. The cost is $10 for designated drivers.